Beautiful striped eggplant. 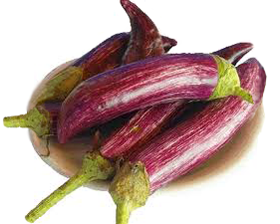 The 22-24cm long, cylindrical bright purple fruit with white striping has finely textured firm non bitter flesh of excellent quality. A reliable and vigorous producer.